Lack of liquidity is a problem faced by any early-stage project. The inability of market players to buy or sell a token can cause damage to even the most successful projects. LiquidWave is a liquidity creation service for tokens hosted on the Waves blockchain platform. Liquidity creation is based on smart and effective market-making algorithms, purpose designed for this application. According to our Policy, this website uses. Cookies to improve functionality and performance. Some cookies are essential for the operation of the website, you can turn them off only via browser settings. Other cookies can be disabled by this tool. By signing up to use an account through the web-site http://liquidwave.io/, you agree that you have read, understood, and accept these terms of liquidity creation service (hereinafter referred to as ‘Terms of Service’). If you do not agree, please do not use the Service and the Website. We may modify these Terms of Service at any time, and such modification will be effective immediately upon either posting of the modified Terms of Service or notifying you by other means. 1.1. All references to the ‘us,’ ‘our’ or ‘we’ mean the service provider. 1.2. All references to ‘you,’ ‘your,’ or the ‘user’ mean the person or persons, using the Service. 1.3. All references to the ‘Website’ mean http://liquidwave.io/. 1.4. ‘Service’ means a liquidity creation service for your token based on the Waves Platform. 1.5. ‘Token’ means the User’s token for which the Service will be rendered by us. 1.6. ‘Waves Platform’ – the open-source blockchain platform https://wavesplatform.com/. 1.7. 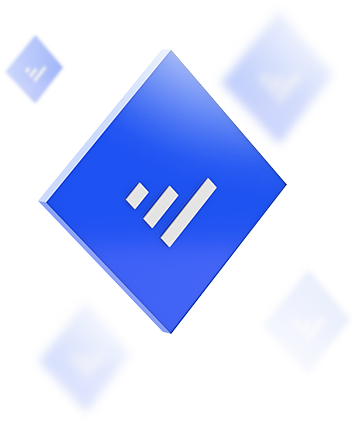 ‘Waves Client’ – the desktop application for using the Waves Platform. (e) will comply with any applicable tax obligations in your jurisdiction arising from receiving of tokens or cryptocurrency. 3.1. The User represents and warrants that the Token must not be registered with the relevant authorities under the securities laws of any jurisdiction and the Token (a) is not a commodity or any other kind of financial instrument, (b) does not represent any share, equity, stake, security in the company/corporation or in property of the company/corporation, or equivalent rights, including, but not limited to, any intellectual property rights, and (c) does not represent any ownership right or any obligations of the company/corporation. 4.1. WE MAKE NO WARRANTIES, EXPRESS OR IMPLIED, INCLUDING WITHOUT LIMITATION, ANY IMPLIED WARRANTIES OF MERCHANTABILITY OR FITNESS FOR A PARTICULAR PURPOSE, IN RELATION TO THE SERVICE. (c) any and all responsibility or liability for any weaknesses or bugs of the Waves Platform or the Waves Client. 4.3. YOUR USE OF THE SERVICE IS AT YOUR SOLE RISK. THE SERVICE IS PROVIDED ON AN “AS IS” AND “AS AVAILABLE” BASIS. WE MAKE NO WARRANTY THAT THE SERVICE WILL BE UNINTERRUPTED, TIMELY, SECURE, ERROR-FREE, ACCURATE, RELIABLE, PROFITABLE OR WILL IN ANYWAY MEET YOUR REQUIREMENTS OR EXPECTATIONS. 4.4. We are not acting and cannot act as your advisor with respect to any financial, legal, investment or tax matters. Any information provided by us is for general information only, and you are solely responsible for determining whether or not to use the Service. 5.1. We reserve the right to terminate your account, to stop rendering the Service at any time, for any reason at our sole and absolute discretion. 6.1. Under no circumstances we will be liable to you or any other person for any indirect, incidental, consequential, special, exemplary, or punitive damages arising out of or in connection with these Terms of Service, the service, the use of the cryptocurrency, tokens or the internet generally, including, without limitation, your use or inability to use the Service; any changes to or inaccessibility or termination of the Service; any delay, failure, unauthorized access to or alteration of any transmission or data; any transaction or agreement entered into through the Service; or any data or material from a third person accessed on or through the Service, whether such liability is asserted on the basis of tort or otherwise, and whether or not we have been advised of the possibility of such damages. Such limitation of liability shall apply whether the damages arise from use or misuse of Service, notwithstanding any failure of essential purpose of any limited remedy and to the fullest extent permitted by law. 6.2. If you are dissatisfied with the Service, your sole and exclusive remedy shall be for you to discontinue your use of the services some jurisdictions do not allow the exclusion or limitation of incidental or consequential damages, so the above limitation and exclusions may not apply to you. 6.3. You agree to hold harmless and indemnify company, its directors, officers, employees and agents from and against any action, cause claim, suit, judgment, damage (actual and consequential), debt, demand, expense or liability (including reasonable costs and attorney’s fees) of every kind and nature, asserted by any person, arising from or in any way related to а) your use of the Service, the cryptocurrency, tokens or Websites, b) your violation of these Terms of Service, (c) your violation of any applicable law. By clocking Accept, you agree to our Terms of service. Send tokens for trading to the market-maker wallet (the decision of how many tokens to send is up to you). The market-maker works only with tokens that you have transferred to it. Send WAVES to the market-maker wallet. We do not limit the amount of funds — you decide. As a general rule, the more you send, the higher the turnover for the token. Send Liquid tokens to the market-maker as payment — 35 Liquid tokens per day. Activate the service. Why do I need Liquid tokens? Liquid is required as payment for market-making services. What happens when I transfer funds to the market-maker (MM) account? The MM trading algorithms will be activated. On the basis of available funds in the MM account, buy and sell orders will be placed, thus providing liquidity to the token. What do I need to do to launch the market-making process? - The token you want to trade. - WAVES to pay fees, and to supply market-making turnover. - Liquid tokens as a payment for market-making service. IMPORTANT! You must always have some WAVES in the MM account to pay fees for exchange operations. How do I know the right address to send funds for market-making? A unique address in the Waves blockchain will be generated for your token. This address can be found on your Account page. What trading volume will my token have? Trading volume will depend entirely on the activity of market participants. We do not disclose the trading algorithm, to prevent manipulation by other market players. How much money should be transferred to the market-maker account? This is up to you. We recommend starting with small volumes to learn more about the process. What are the risks? Can I lose funds transferred to the market-maker account? Yes, trading involves risks. The most significant risk is the risk of exchange rate fluctuations. What spread will my token have? The spread (the difference between buy and sell prices) will depend on market conditions. It can both narrow and expand. The approximate spread will stay around 10%. From which account should the funds be sent to the MM account? Funds must be sent from the account with which you are logged in to your personal account of the Liquid project. How and when can I withdraw funds from my MM account? Funds from the MM account can be returned to you at any time after you push the "Stop and refund" button.